ALMOST THERE Please select size. The Tunturi resistance band set is a versatile and easy training tool that can be used to build more strength. Resistance bands can be used during rehabilitation or for the optimization of the muscles. 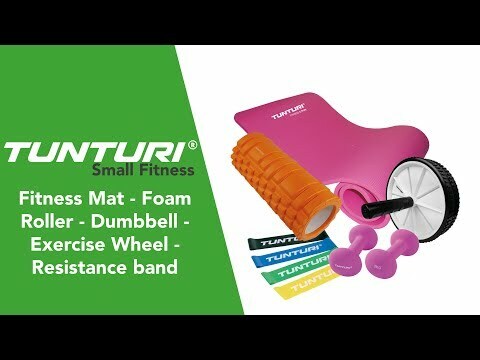 The Tunturi resistance band in the color green gives a heavy resistance. This allows heavy muscle groups to be trained. Different exercises can be done with the Tunturi resistance bands. The training with resistance bands improves the lateral movement, shoulder reinforcement or activation of the hip and gluteal muscles. There are 4 different resistances in the set, so there is the right resistance for every exercise. Please describe as fully as possible what you need.